On 05 September 2015 a team from 201 Field Hospital embarked on Exercise Northern Brighella. Adventurous Training (AT) is an integral part of Military Training and greatly valued at 201 Field Hospital. The definition of AT is ‘Challenging outdoor training for Service Personnel in specified adventurous activities that incorporates controlled exposure to risk, in order to develop: leadership, teamwork, physical fitness, moral and physical courage; as well as other personal attributes and skills that are vital to the delivery of Operational Capability’. 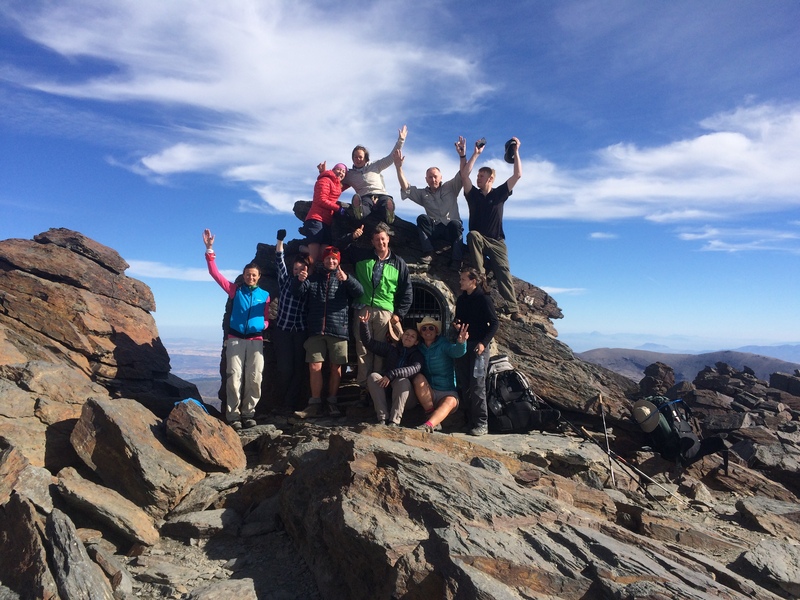 The expedition which included a 7 day unsupported trek of the Sierra Nevada National Park provided such training. The exercise was jointly planned by Major Carr and Captain Hannaford. 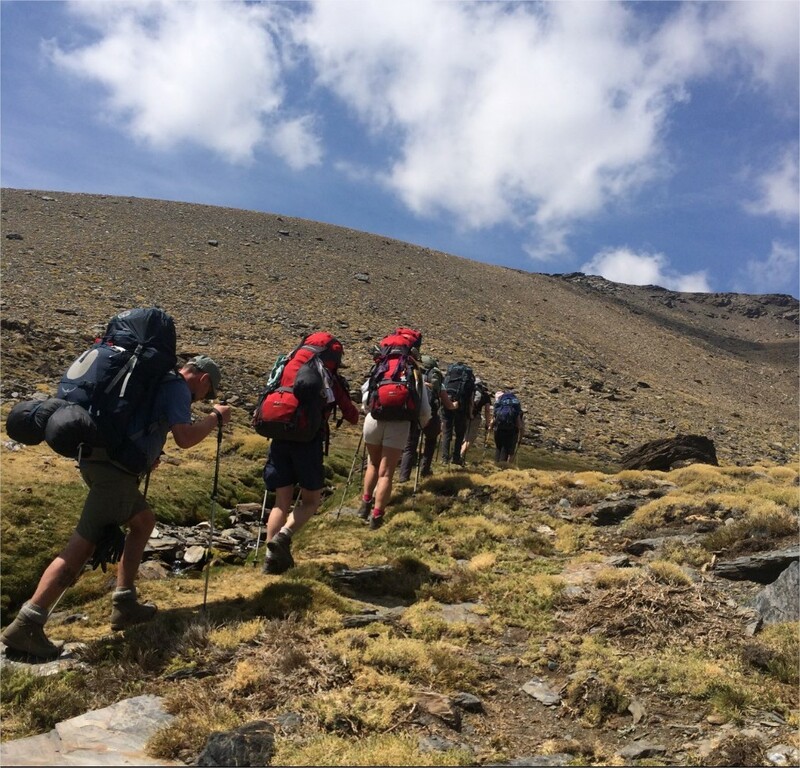 The trek was led by JSMELs Captain Hannaford and Lieutenant Gething with support from Spanish Highs, whose guides provided local information on camping and water sources. 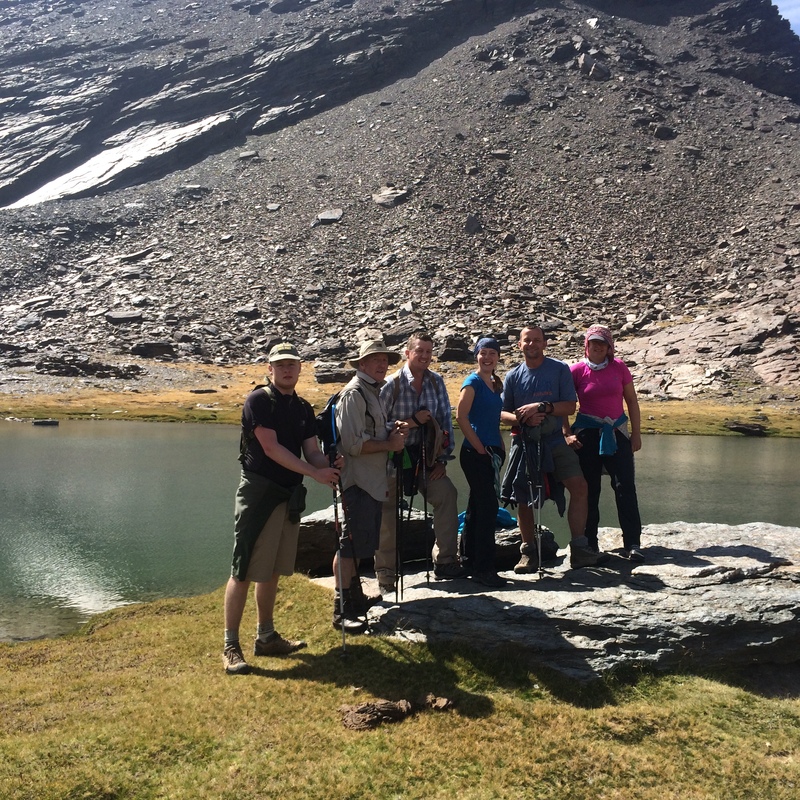 On arrival in Lanjaron the team of 10 personnel of all ranks conducted an acclimatisation trek. 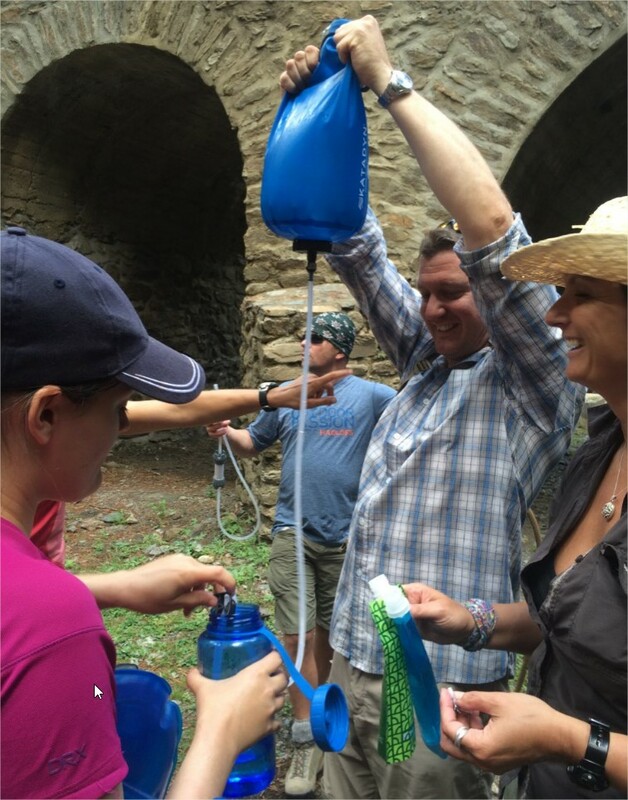 This allowed everybody to adjust to the mountainous environment and re-check kit in advance of the main 7 day unsupported high altitude trek. The team then sourced expedition rations from local shops in Lanjaron to compliment the Adventure Food brought from the UK. Getting the balance of nutrition, flavour and weight was important so the food shop was in itself an adventure! During this preparation phase the weather conditions looked promising as blue sky could be seen for miles. However, nature kept us on our toes by also providing a spectacular storm which resulted in flooded bedrooms at the hostel Espania. After assisting with the mopping up of rain water there was a sigh of relief when the sun peaked out again. On day 1 of the unsupported trek it rapidly became clear how important it was for the team to work together on pacing the progress of the trek. 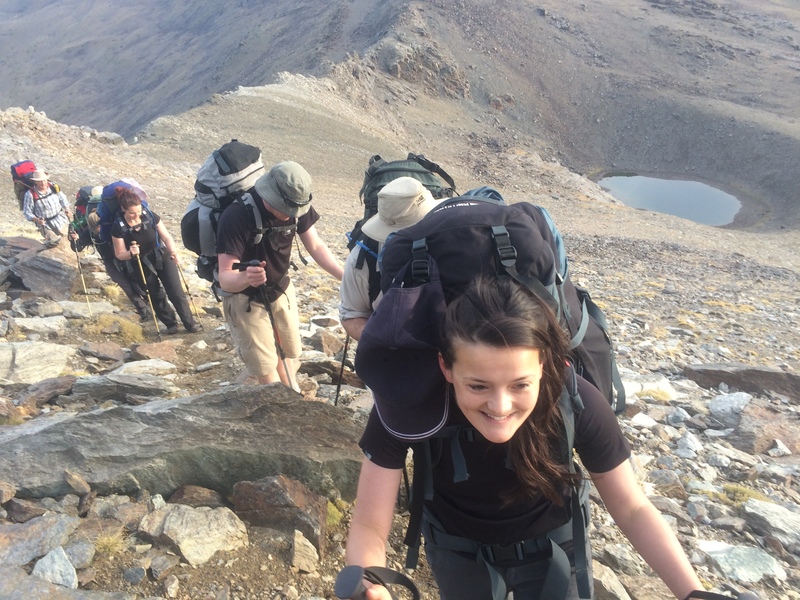 The steep ascents carrying approximately 20 kg of kit, food and water in warm conditions made the terrain a challenge. The rocky landscape presented the team with some interesting scrambles and bent tent pegs! In addition to the physical effort of the trekking the expedition presented opportunities for personnel who have recently completed their basic training to further develop important field craft skills vital for operational effectiveness. A ‘buddy buddy’ system was utilised for the construction of tents and cooking and when required a water patrol was convened. 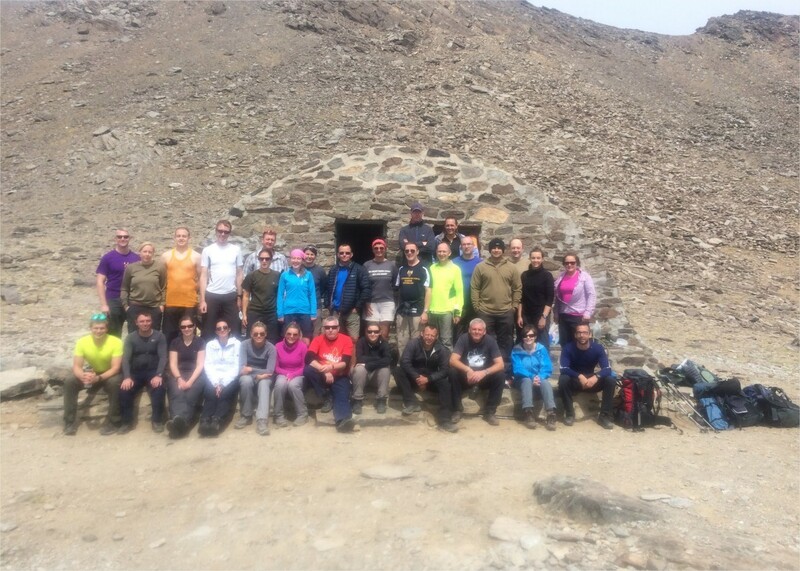 For the majority of the trek the 201 team were alone in the mountains. However, on day 4 an informal gathering outside a refugio brought a welcome surprise in the shape of 207 Field Hospital. 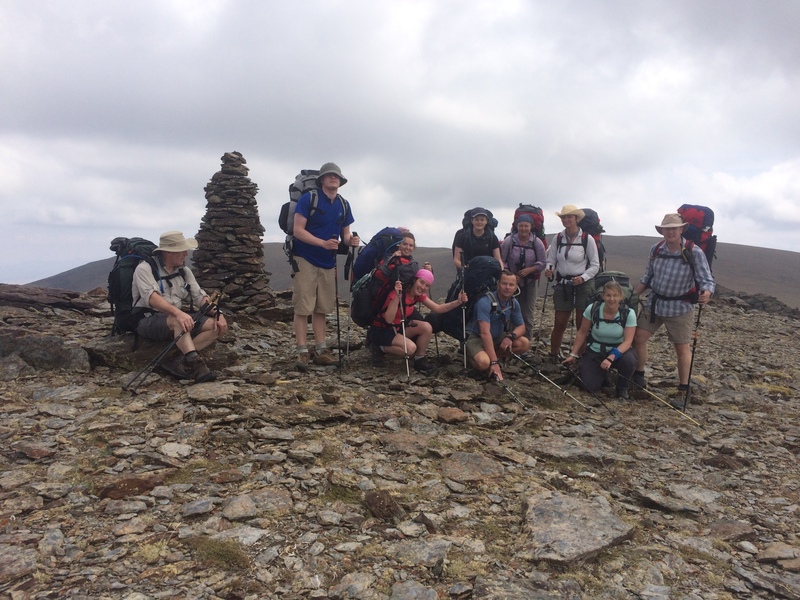 After exchanging stories of the mountains and posing for a group photograph the team were delighted to receive rations from 207 Field Hospital whose journey was due to end. 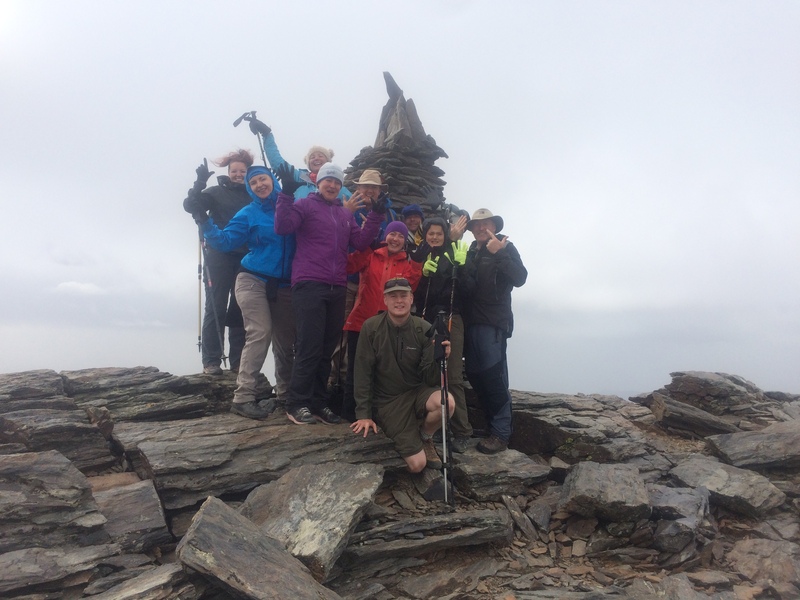 The much needed chocolate and oranges helped fuel the ascent of Spain’s highest mountain Mulhacen which rises to 3482m. 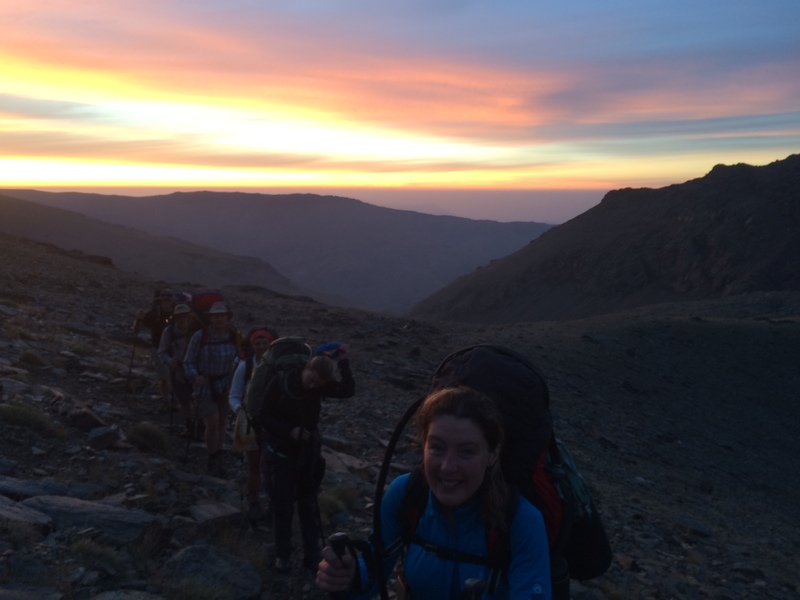 The trek created many highlights including stunning sunrises and observations of wild life in their natural habitat. It was a challenge so met the criteria for AT. But in addition, in true 201 style it has been a fun and wonderful experience that will remain in the memories of all involved forever.